As temperatures heat up across the United States in the summer months, Canada’s cities enjoy long, warm summer days. The evening hours are golden. Canadian families ride bikes at beautifully landscaped parks, enjoy festivals, and eat ice cream. Canadians know how to make the most of every season, especially the warm days of summer. Possibly you’ve taken a family vacation to Toronto, Montreal, or Vancouver. Chances are good that you’ve never traveled to Winnipeg. 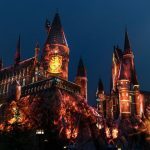 Interested in taking a family vacation to Winnipeg? You’ll want to check out Trekaroo’s Top 10 Things to Do in Winnipeg, Canada with kids. Winnipeg is located on the Red River north of North Dakota. It’s only a short flight from Chicago or Minneapolis. Winnipeg is the largest city in the province of Manitoba, which lies directly to the west of Ontario. If you’ve heard of Manitoba at all, it’s likely that you associate this province with polar bears. No, you certainly, won’t find any polar bears roaming the streets of Winnipeg. However, Winnipeg’s Assiniboine Zoo is home to a polar bear cub rescue program. This Winnipeg zoo has the ability to host nearly a dozen bears. 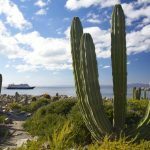 However, there’s so much more to this city than polar bears, it is also home to the Canadian Museum for Human Rights and the Royal Canadian Mint. 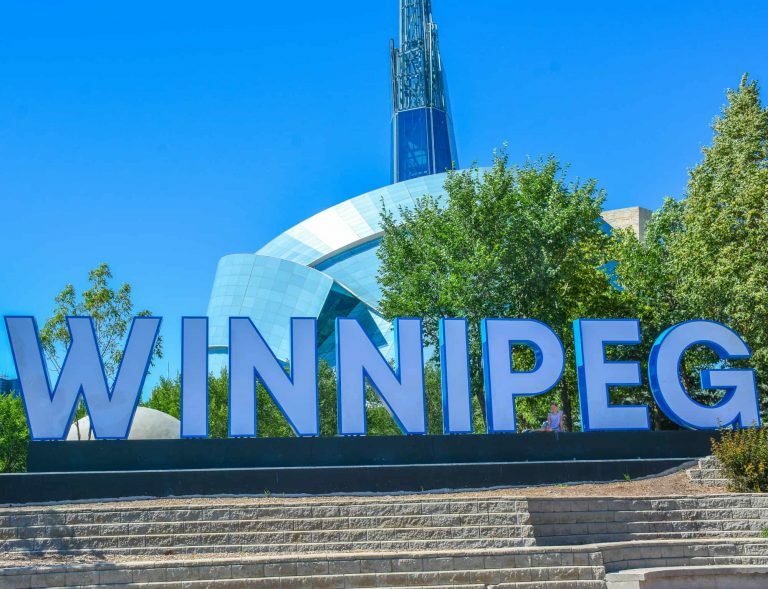 Let’s explore the best things to do in Winnipeg. Families will likely want to spend every available minute outdoors during the summer months. However, there are days and seasons in Winnipeg when children will need to play indoors. For this reason, Winnipeg has a great variety of indoor play spaces for children. 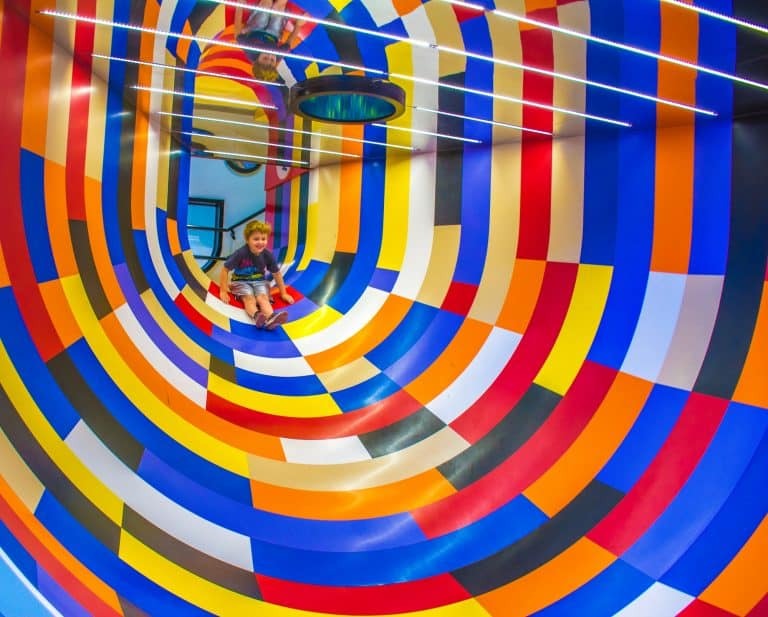 One of the best indoor play areas for tots in Winnipeg is the Manitoba Children’s Museum. Children love climbing aboard a train engine pretending to drive the locomotive through the prairie. Looking outside the museum, long trains are everywhere! 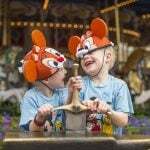 Children can also climb around in a lasagna-themed play structure, play in the water, or learn about the local dairy industry. As a meeting place and trade center dating back centuries, Winnipeg’s history is complicated. Today it remains one of the most diverse cities in Canada drawing many new immigrants form around the world each year. The story that has shaped Winnipeg (and Manitoba), more than any other, is that of the Metis people. The Metis are descendants of indigenous (Native American) people and early French settlers. The Metis are one of the major reasons why the French language is more commonly spoken in Manitoba than any other Canadian province outside of Quebec. Families visiting Winnipeg should take a bit of time to learn about Louis Riel. Louis Riel was one of the most important figures in the formation of the province of Manitoba. As a Metis, he stood up for the rights of his people. 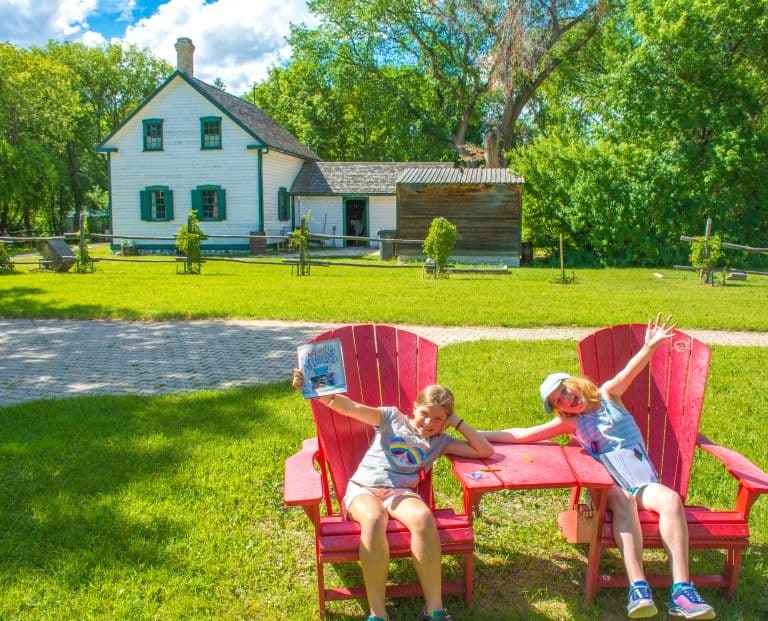 The Riel House National Historic Site is the best place for families to learn the story of Louis Riel and the Metis people. Part of Parcs Canada, the site offers an Xplorers booklet for children. Activities in the booklet include a scavenger hunt around the house and hands-on activities demonstrating the unique way that the Metis set up their farms. Did you know that 75 countries have had their coins made at the Royal Canadian Mint in Winnipeg? This location has produced more than 55 billion coins since it opened over forty years ago. All Canadian circulation coins are minted at this location, just about 15 minutes from downtown Winnipeg. 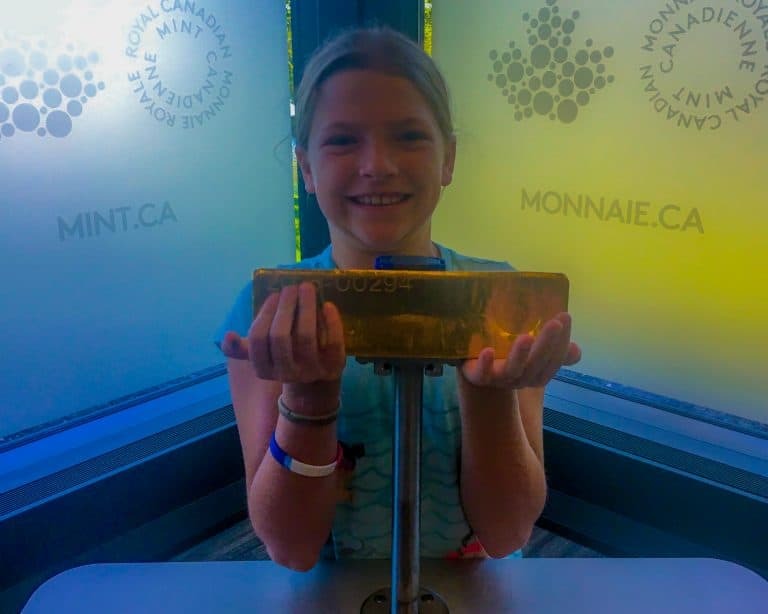 A 45-minute tour of the mint is a favorite for families traveling to Winnipeg. During the week, visitors can see the machines on the factory floor in operation as a guide narrates the process of production. This mint even produced colored coins like the red poppy design that was made for Canadian Remembrance Day. If you’re lucky, you might get the opportunity to hold a gold bar worth hundreds of thousands of dollars–under the watchful eye of a couple of guards, of course. In the summer time, Winnipeggers understandably seem to spend as much time outdoors as possible. The gardens, greenspaces, and even playgrounds are beautifully landscaped with colorful flowers from May through October. 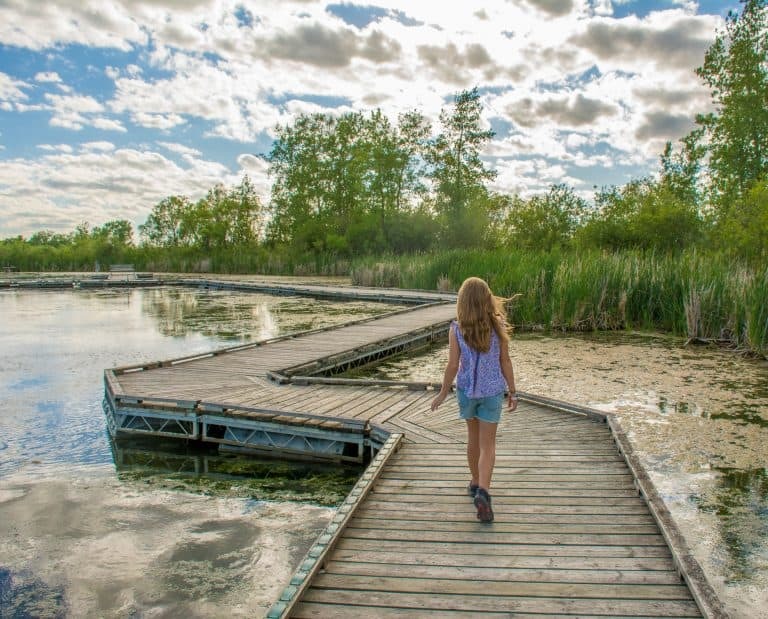 If your visit coincides with this summer season, be sure to visit some of Winnipeg’s parks. Assiniboine Park is a favorite with families. Not only is Winnipeg’s zoo located in the park, it also has a children’s steam train and a playground. 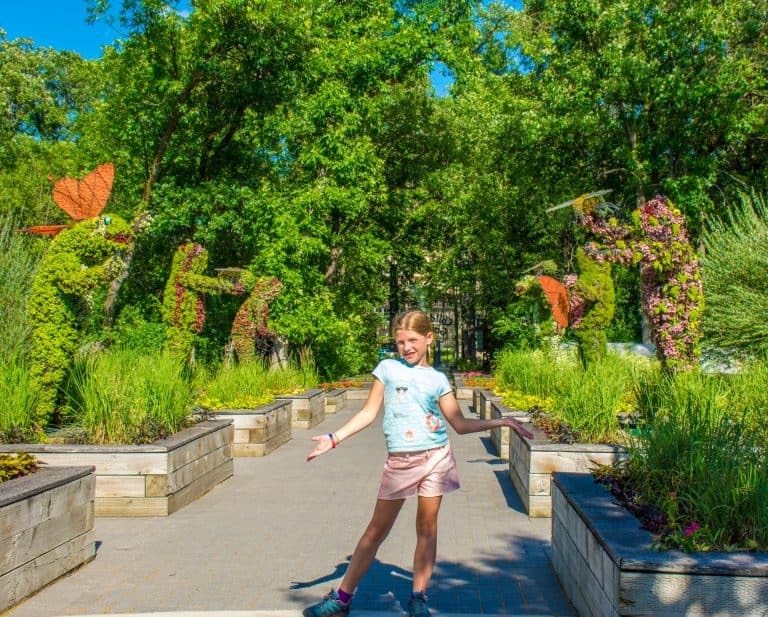 The Assiniboine Nature Playground combines beautiful landscaping and traditional playground equipment for a place where children of all ages can play. Another fun activity is biking in the park. Bee2gether Bikes rents specialty bikes for multiple people to ride the park’s flat pathways along the Assiniboine River. Don’t forget to check out the English Garden and Sculpture Garden at the park before you leave. It would be a shame to visit Manitoba and not experience the prairies and grasslands so prominent in the southern part of this province. At FortWhyte Alive families can see a wild herd of bison and a colony of prairie dogs inside Winnipeg’s 640 acres of protected urban green-space. Families can also walk or bike out to a tree house that overlooks a herd of bison, stopping to play at a tipi along the way. Or, kids can walk the floating marsh boardwalks spotting birds and using dip nets to explore what’s under the lake’s surface. 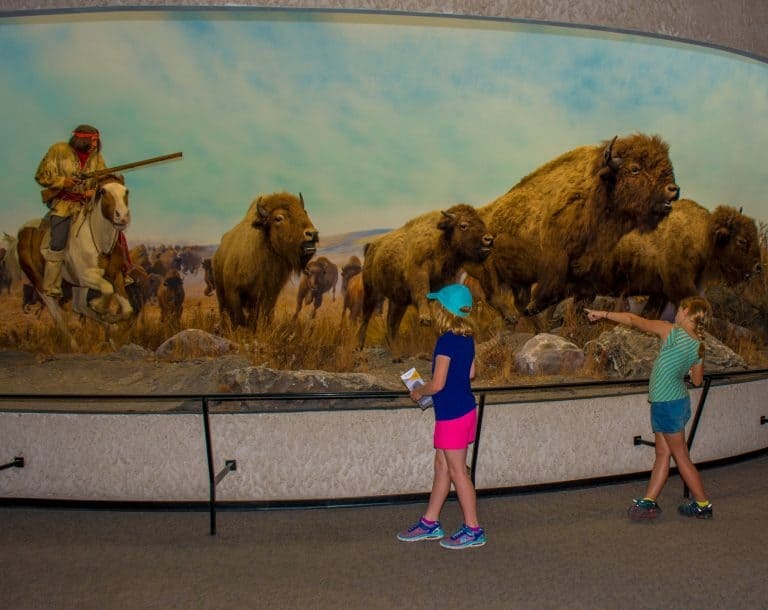 If the weather turns, there’s also a nature center where kids can see burrowing owls and prairie dogs as well as explore the ecosystems of Manitoba. 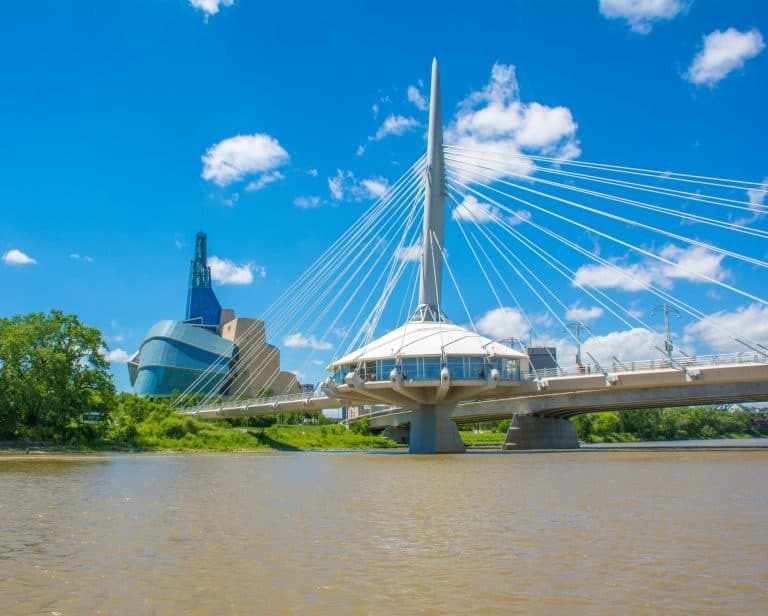 The city of Winnipeg owes its existence to the Red River and the Assiniboine River. These two rivers meet at the Forks, right at the heart of the city of Winnipeg. While this area has been a trading center for centuries, people only began living along the river recently due to the annual spring high floodwaters. Consequently, if you’re visiting Winnipeg between May and October, you’ll want to make sure to see the city from the river. Splash Dash Historical Boat Tours offers 30-minute river tours that are perfect for families. Kids love the thrill of zooming along the river on a small boat with 6-10 other people. The boat stops only briefly to view the sites along the river while the driver narrates. One of the first of the stops is in front of the beautiful Manitoba Legislative Building. There the boat driver points out the statue of Louis Riel and tells his story. Later the guide stops to explain Winnipeg’s two competing trading companies: the Hudson Bay Company at Upper Fort Garry and the North West Company’s located at Fort Gibraltar on opposite banks of the river. The Manitoba Museum is quite the institution in Winnipeg. It is almost 50 years old now, being opened by Her Majesty Queen Elizabeth II in the summer of 1970. This Winnipeg Museum has a traditional museum layout. It’s exhibits range from the natural history of Manitoba’s four main ecosystems to the history of the indigenous people of the area. A small, hands-on science museum and planetarium have been added in the basement. Despite hosting many traditional exhibit galleries, great efforts have been taken to update and modernize the museum for future generations. A highlight is the Nonsuch Gallery. It is home to a reproduction of the 17th century British sailing ship, the Nonsuch. The gallery is lit dramatically to resemble night and day. It also features a full scene of homes and storefronts representing the village of Deptford, England. Families can board the ship after a docent introduces them to the story of the small sailing vessel. It is quite amazing to think that such a little ship first launched the historic Hudson Bay Company, making the historic trip across the Atlantic Ocean in 1669. Another impressive exhibit highlights 1920s Winnipeg. Families can walk the streets of town exploring a dentist’s office or watching a black-and-white film in the theater. There is also a scavenger hunt to motivate the kids to check out every storefront in the historic town. If you ask any Winnipegger what to do with a day in the city, they’ll tell you to go to The Forks. Consequently, it’s the only place that I have visited on every single one of my trips to Winnipeg. But, what exactly is the The Forks? The Forks is the place that the Assiniboine River meets the Red River; it really is just like a city neighborhood with museums, a national historic site, ballpark, and trails. The Canadian Museum for Human Rights, the Manitoba Children’s Museum, and the Splash Dash Boat Tour are all at The Forks. 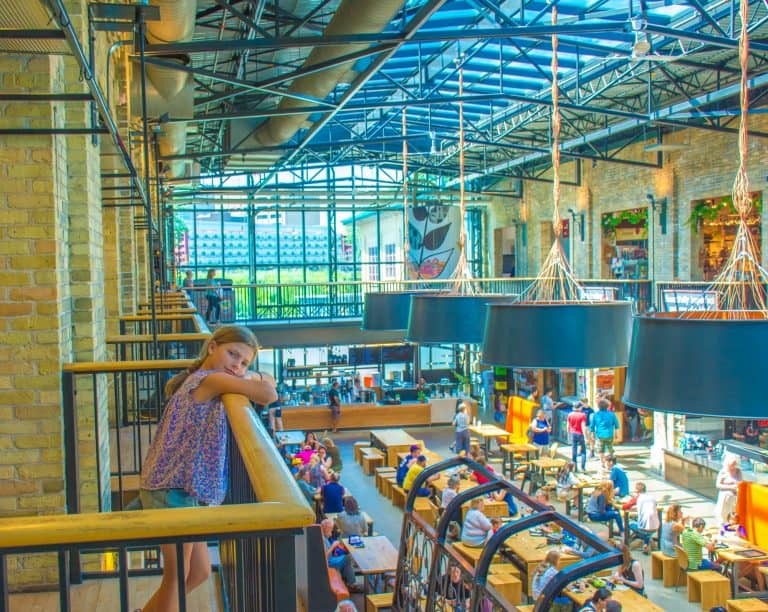 The one thing that families shouldn’t miss at The Forks is the Forks Market. It is a two story market with local shops and restaurants, including a local bookstore. In recent years, the city has worked to update and improve the Forks Market so now many of the city’s top food trucks and restaurants have a presence at the Forks. As far as I’m concerned, the Forks Market is the place to eat with kids in Winnipeg. The choices are practically endless. Families can enjoy wood-fired pizzas from Red Ember Common, which started out as a food truck. Or, try the fresh baked empanadas by Simon’s Cuisine; those empanadas are all my daughter wanted to eat when at The Forks Winnipeg. My most memorable meal was certainly the chicken parmesan sandwich from Corto. 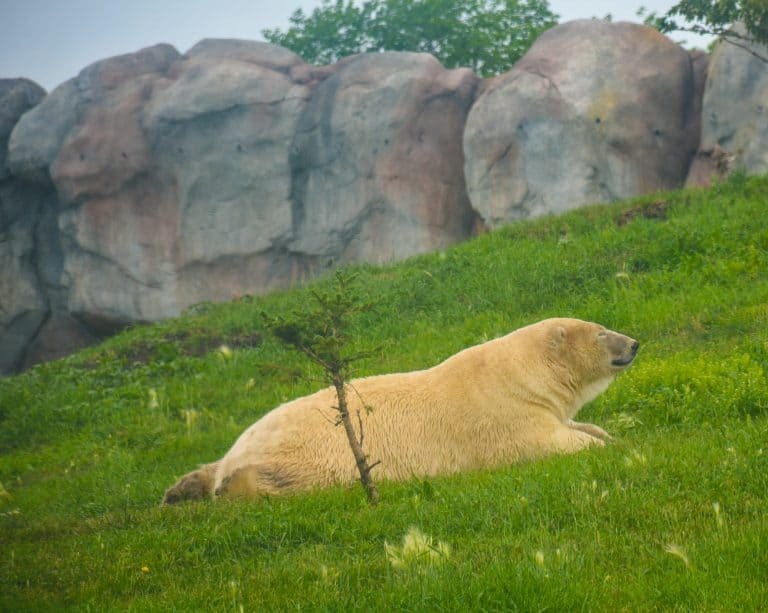 Viewing the polar bears at the Assiniboine Park Zoo is likely a highlight of any visit to Manitoba. Recently, this Winnipeg zoo completed a huge project constructing a home for more than ten rescued polar bear cubs. With no hope of survival on their own, zookeepers rescued these cubs and brought them to the Assiniboine Park Zoo over the past decade. Now several of these bears live in the massive Journey to Churchill Exhibit. The exhibit area is so large it almost feels as if zoo visitors are viewing the polar bears out in the wild. Kids especially love going into a tunnel where they can watch the bears swim and play overhead. While polar bear viewing is certainly the highlight of a visit to the Assiniboine Park Zoo, they are not the only unique animals at the zoo. Many other endangered animals from cooler regions around the globe live at the Assiniboine Park Zoo. The focus on arctic and sub-arctic animals is what really makes the Assiniboine Park Zoo special. The Canadian Museum for Human Rights is the newest of Canada’s six national museums. Soon the museum building will be recognizable to every Canadian child because it will be featured on Canada’s new ten dollar bank note along with civil rights figure Viola Desmond. 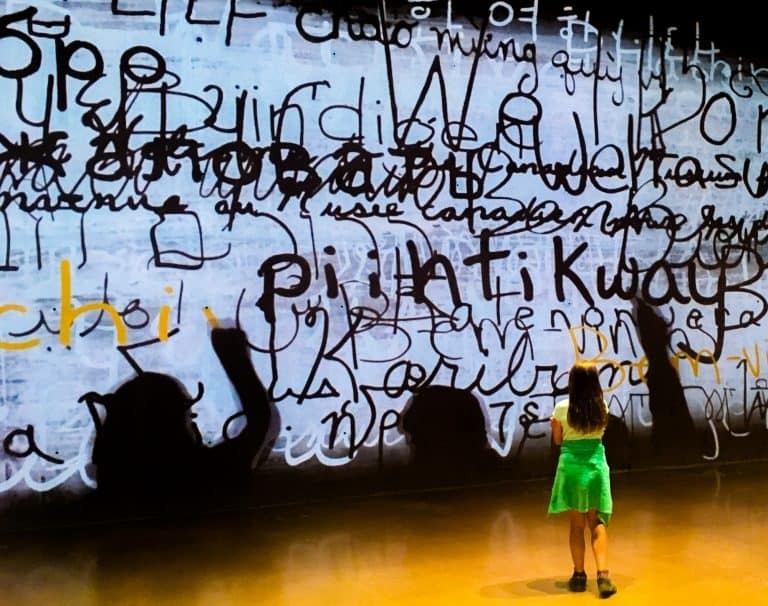 Of the hundreds of stories told at the Canadian Museum for Human Rights, one is certain to resonate with every visitor whether they are Canadian, American, or hail from further abroad. Being from the States, I had never heard the story of Viola Desmond prior to visiting the museum. However, my 9-year-old daughter soon saw the similarities and connections between Viola Desmond’s story in a Nova Scotia movie theater and that of the American Rosa Parks. As a parent, it was especially moving to watch my daughter broaden her perspective and make steps towards grasping the significance of human rights on an international scale. It’s only appropriate that this mountain of a museum was built at The Forks. The Forks is a place of great historic significance for local Indigenous Peoples. On the floor of the welcoming hall, there is a bronze cast of a 750-year-old moccasin print found during the onsite archeological work. Above the footprint, visitors are welcomed to the museum in 36 languages, including 12 Indigenous languages. One of the many missions of the Canadian Museum for Human Rights is to demonstrate the concept of human rights not only from a Euro-centric viewpoint, but also from the view point of the Indigenous People who first came to The Forks thousands of years ago. Art and modern technology are used to illustrate the connection between people and their rights as part of a community. Of course, the best place to eat in Winnipeg when you’re out and about with the kids is the Forks Market. It’s conveniently located and has a huge variety of choices. The sticky buns at Tall Grass Prairie Bread Co are a must-eat Winnipeg breakfast treat. 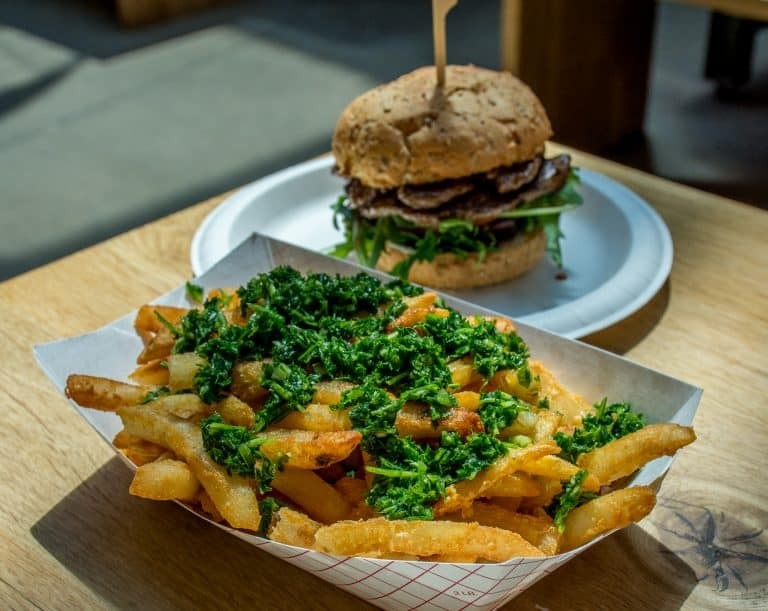 There are over a dozen options choose from for lunch including Argentinian beef sandwich and crispy garlic fries from Simon’s Cuisine and bento boxes from Fusian Sushi. Don’t forget to grab dessert at Neon Cone because their handmade ice creams are simply delicious! Looking for a place to both eat and play in Winnipeg’s Exchange District? 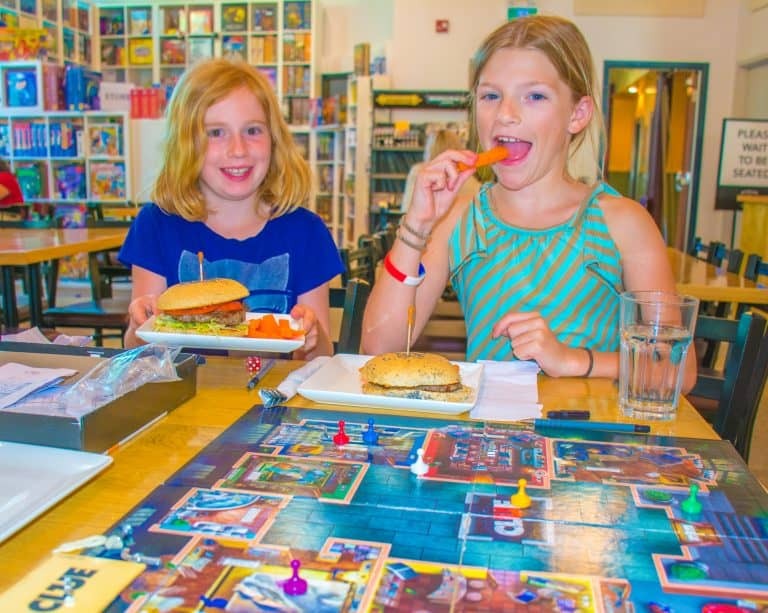 At Across the Board Café, you can play board games while enjoying a snack or a meal. This café has over 1200 games that families can play. There’s even preschool games like Chutes and Ladders for little ones. I brought two 9-year-olds with me, and they squealed with delight when they found several variations of Clue and The Game of Life. Yes, at that moment I wished that I had come with a group of adults more inclined to strategy games. The menu includes snacks like chips and salsa as well as meals like the club sandwich that I enjoyed. Both my kids happily ordered burgers off the children’s menu. The Bridge Drive-In, know as BDI, is certainly a Winnipeg summer tradition. 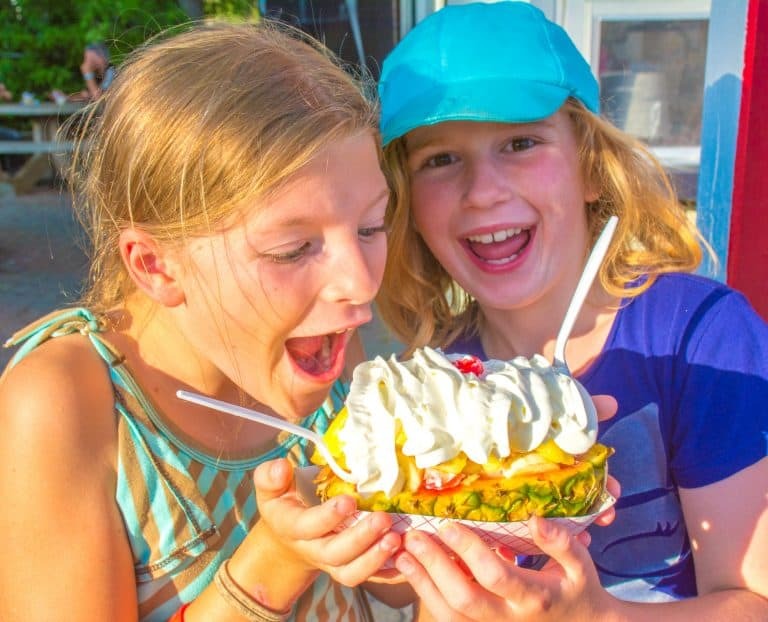 On summer evenings families come to BDI for soft-serve sundaes and milkshakes. Surely one of the biggest treats at BDI is the “Sleeping Beauty.” It has whipped cream, soft-serve ice-cream, and pineapple chunks. It’s not likely anyone is leaving hungry after that! Near BDI there is a pedestrian bridge spanning the Red River so families can take a stroll across the river as they enjoy their treats. 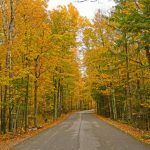 Winnipeg is quite remote; however, there are a couple of Manitoba day trips that you should make sure to include when your family visits the area. Lower Fort Garry National Historic Site is located only about 30 minutes outside of downtown Winnipeg on the Red River. The fort was built in 1830 by the Hudson Bay Company, and it was a hub for fur traders for many decades. In the summertime, the fort hosts costumed interpreters acting as farmers, traders, and indigenous people from the 1850s. The Fort is part of the Parcs Canada system so it offers the Xplorers program for children. 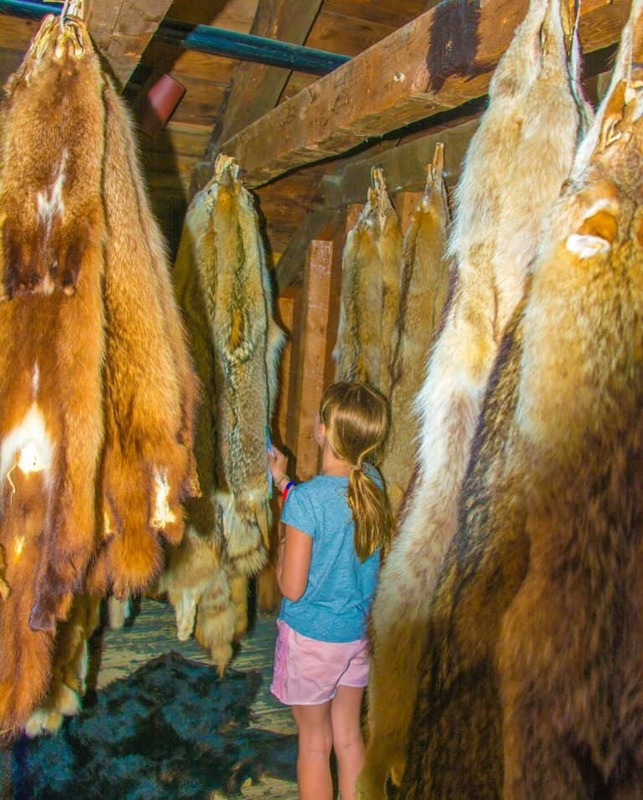 Children can learn about the Metis people, farm life, and the types of furs that would pass through the fort as part of the Xplorers program. Stienbach is the third-largest city in Manitoba, and it is less than an hour from Winnipeg by car. 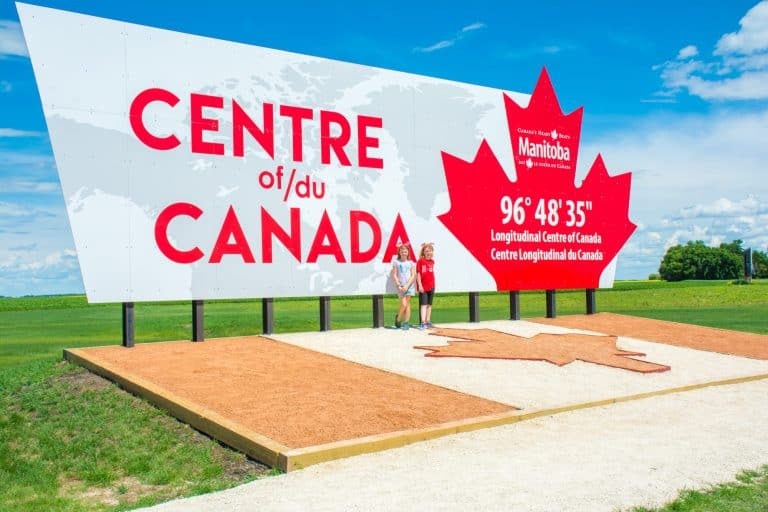 As families drive from Winnipeg to Steinbach, they pass through the longitudinal center of Canada. Certainly, it is a fun photo op for families with a huge sign. You can’t miss it! 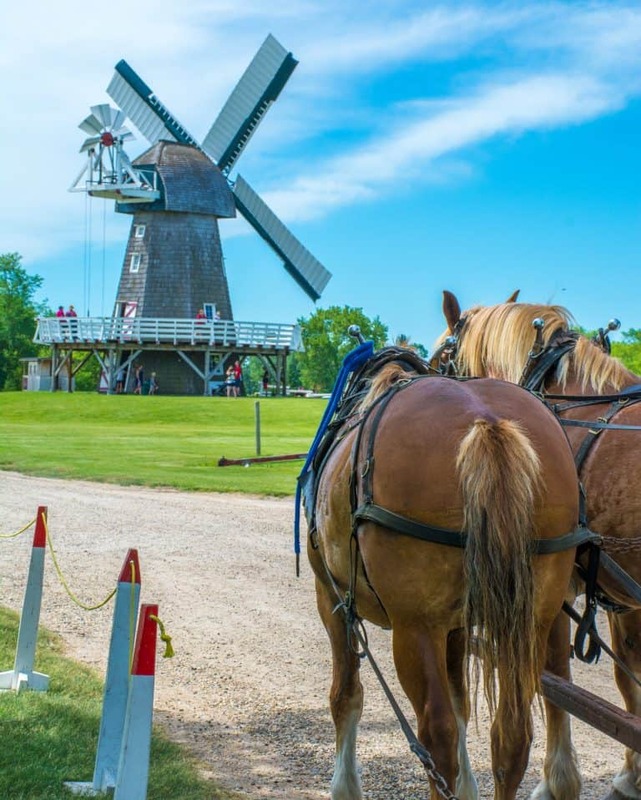 The real reason for families to come out to Steinbach is to visit the Mennonite Heritage Village. The village is set up to show what life was probably like for the German speaking Mennonites from Russia and Poland. These immigrants settled in the Steinbach area in the late 1800s. It’s easy to see that life on the prairie wasn’t easy for them. Visitors can tour a small house dug directly into the ground. Also, the farm houses at the village have barns attached for easy access during frigid winter months. Families can pet farm animals, take a wagon ride, and watch a blacksmith at work at the village. Another highlight for the kids is being able to talk with a teacher in a one-room schoolhouse. However, the real treat is the fresh made-to-order waffles that are doused in yummy, vanilla, frosting-like syrup. Due in part to the weather, I have found that many hotels in the Winnipeg area have kid-friendly pools with special water features like water slides and spray areas for tots. Thus, I do highly recommend looking at pictures of the pool as you book your Winnipeg hotel room to see if it meets your family’s needs. I have stayed at four different hotels in Winnipeg on four separate visits to Winnipeg. On our most recent visit, my daughter and I stayed at the Holiday Inn Winnipeg Airport. This hotel has a great location because it is just a short distance from the airport and Assiniboine Park Zoo. Most importantly, it is only a short 15-minute drive from the Forks. The Holiday Inn Winnipeg Airport also has a cute pool area with water features. Likewise, little ones will love the fish tanks with real goldfish in all three hotel elevators. Previously, I have stayed south of downtown off the Pembina Hwy at Best Western Plus Pembina Inn and Suites. Breakfast is included at the Best Western Plus Pembina Inn and Suites. It is also within walking distance of a Starbucks. Most notably, the pool at the hotel has a big waterslide. Finally, if you’re looking for a hotel at the airport within walking distance of the terminal, I recommend The Grand Winnipeg Airport Hotel. It features modern décor and amenities, comfortable beds, and good blackout curtains. 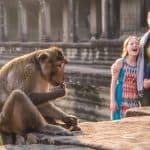 Book a hotel in Winnipeg; best rates guaranteed. Disclosure: I was hosted by Tourism Winnipeg. All opinions are my own. The Canadian Museum for Human Rights is Canada’s first museum built for the sole purpose of illustrating the evolution, crisis and future of human rights around the globe.